The World Bank has joined the UK Department for International Development (DFID) and Trade Mark East Africa to finance USD 565 million for the expansion of the Tanzania port in Dar es Salaam and improve the country’s position as a regional trade hub and increase its capacity to from 14.6 million tons a year to 28 million tons a year by 2020. According to a statement from the World Bank in May, inefficiencies in the port currently cost Tanzania and its neighbors approximately USD 2.6 billion a year. The cooperation will support improvements in the spatial efficiency and operational effectiveness of the port and will be delivered through the Dar es Salaam Maritime Gateway Project through a combination of loan, credit, and grants from the Development Partners. 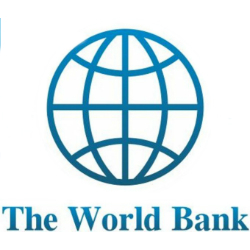 “The overall objective of the co-operation is to support the TPA to realize the objectives of the government of Tanzania for the maritime sub-sector, as expressed in the Big Results Now (BRN) Initiative,” said the World Bank in a statement. According to the World Bank Group managing director, Sri Mulyani Indrawati, Tanzania should continue to invite private sector participation in major infrastructure projects.